This is the story of my Football Manager career, playing with my local team: ADO den Haag. At the end of every season I will recap the season here. Here’s season 1. It has begun. The contract is signed. 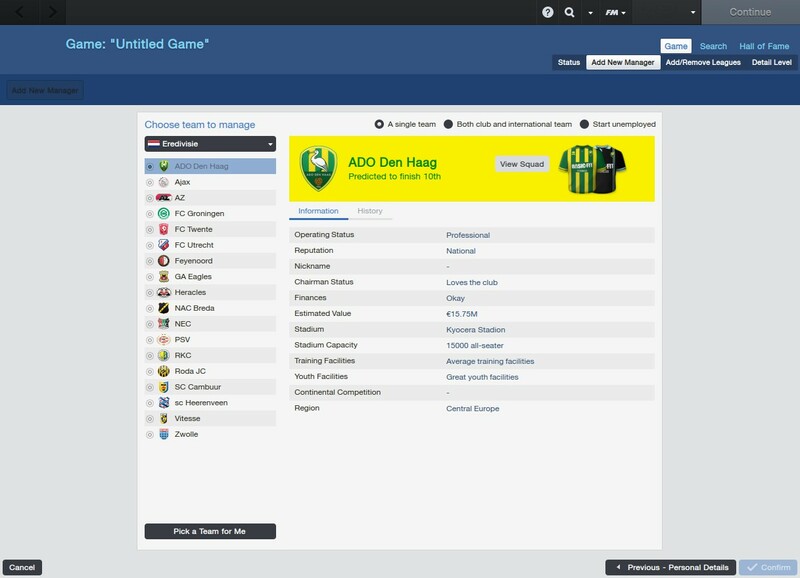 I am the new manager of ADO den Haag. I will be responsible for leading my team to glory. 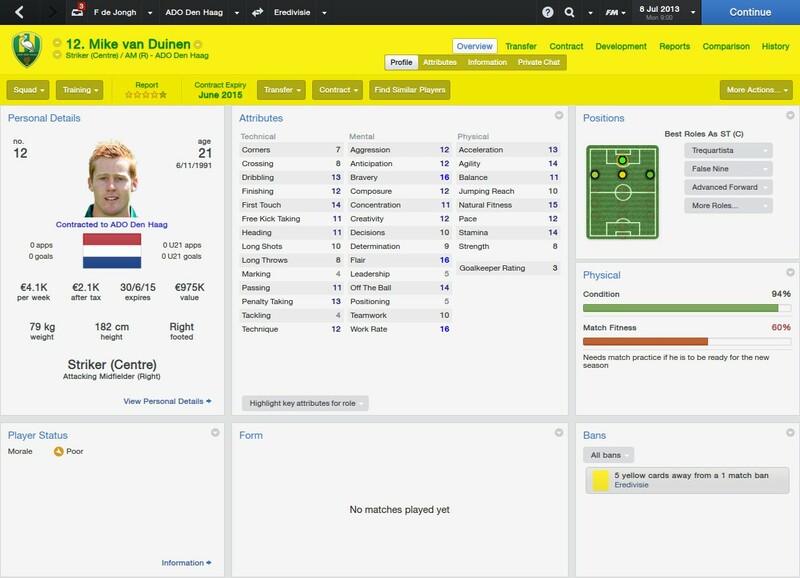 The margin to fail is large, I will have to lead my club to at least a 10th place in the Eredivisie. Finances are terrible: there is no money for new players. If I want new players, I’d have to sell some first. I will have to make it work, or I will be out of a job in no time. We started out awesome. 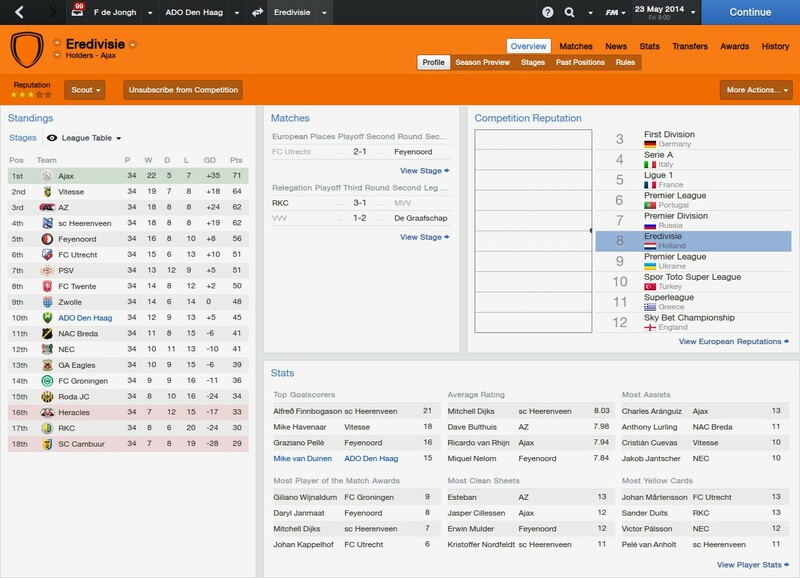 For the first half of the season, we were in the top of the league table. However, we gradually descended towards the midfield. We lost some matches we should’ve won, we had some troubling injuries and some unneccessary red cards, which hampered our performances. 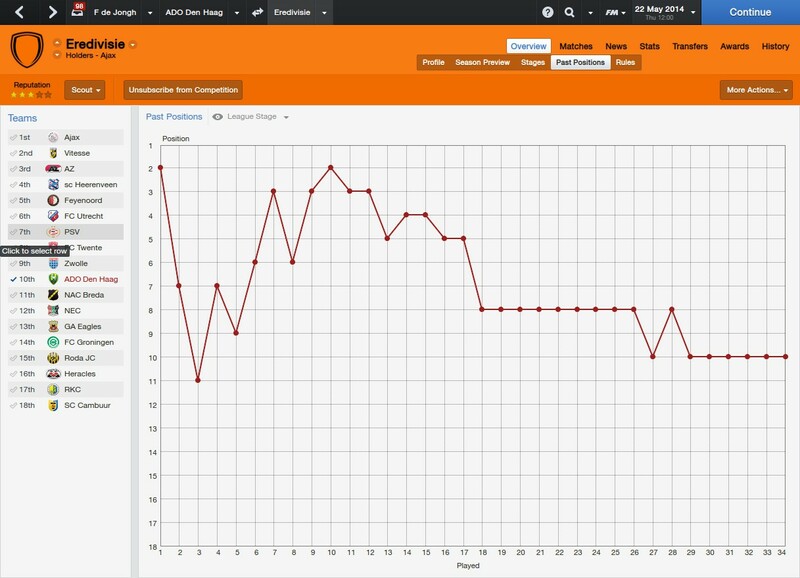 However, we hung on to 10th place in the end, therefore reaching our goal for the season barely. 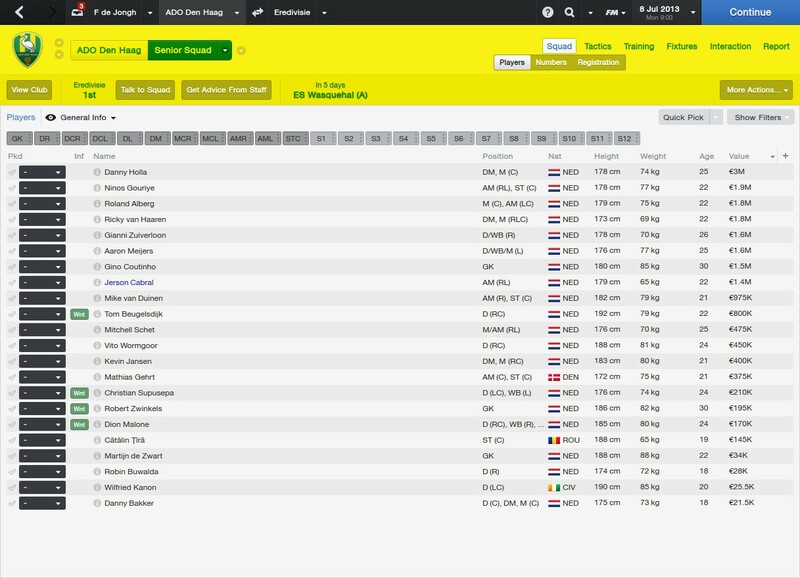 As you can probably see, they all had a very decent season. 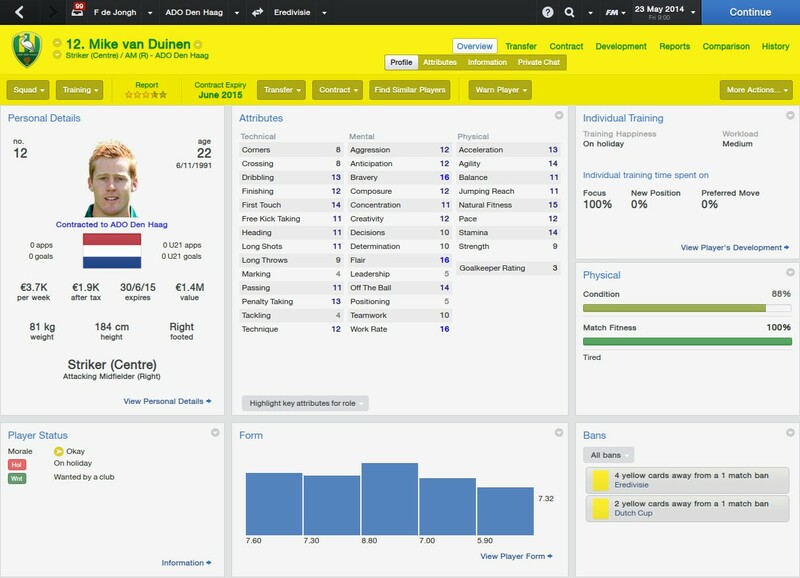 Bakker’s skills have significantly improved during the season, van Duinen improved somewhat, while Beugelsdijk seemed to stagnate in his development. 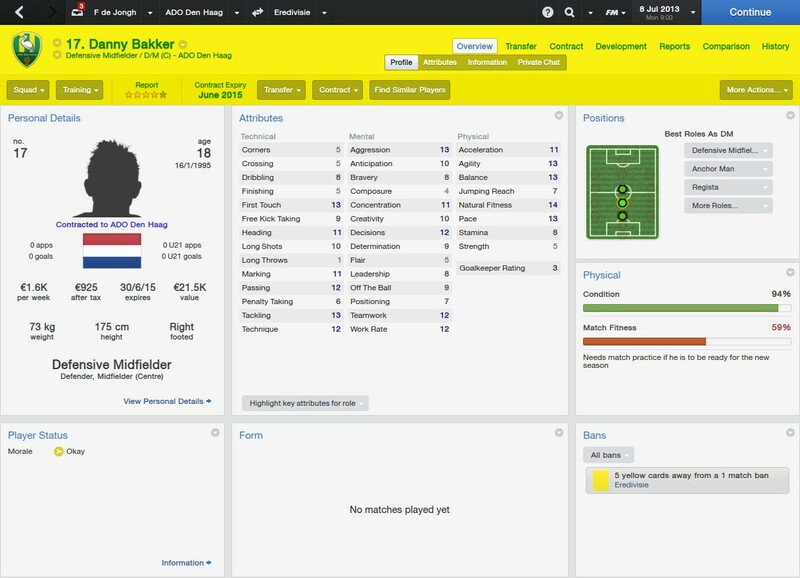 I’m most encouraged by Bakker though, who proved he could hold his own on the field from the start. All in all a decent season. We started out great, but didn’t have the width of skill to keep our performances up. 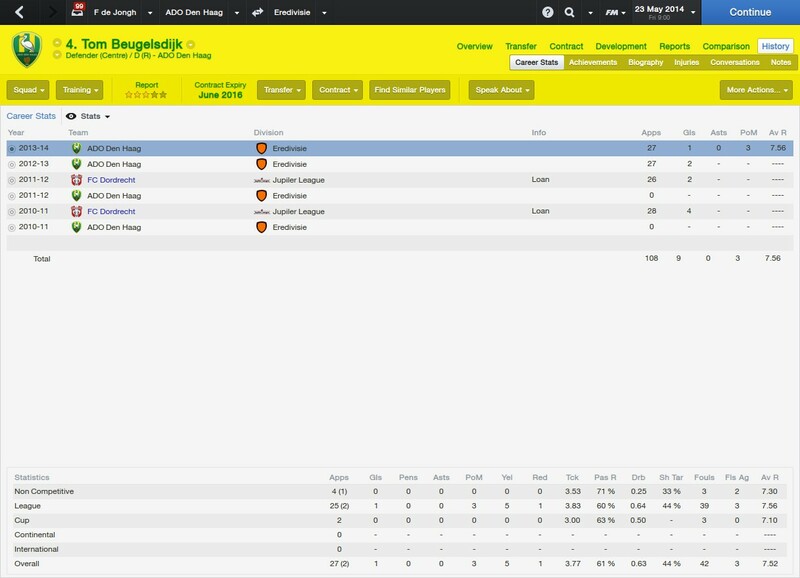 It will be hard to keep the team together for season two, since our team is still in financial trouble. 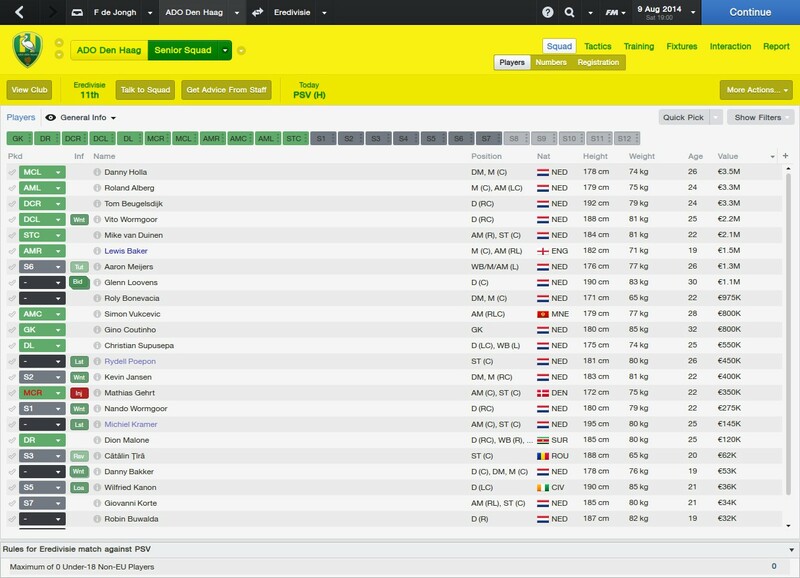 The team seems to have significantly grown in value, which would make it hard to turn down certain offers for our players. Curious? Stay tuned for season 2, which will be posted on this blog when I finish the season!